Mounting evidence suggests that perfume-scented candles may actually be polluting your home with a "cocktail [of chemicals] that can kill," reports Jaya Narain, writing for the Daily Mail. Researchers with the National Centre for Atmospheric Science at the University of York say even simple perfumes can change form upon contact with the air, posing health threats to a home's occupants if that home isn't ventilated properly. To reach this conclusion, Professor Alastair Lewis tested the air quality of six "modern" homes over a five-day period, first assessing levels of "volatile organic chemicals (VOCs)." Lewis detected a range of substances in the air, including benzene, which can be derived from "outdoor vehicle pollution, and alpha-pinene," a commonly used "pine perfume" in everyday cleaning products. 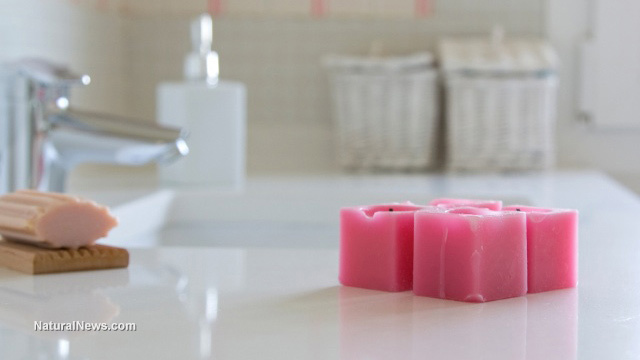 However, one of the most concerning chemicals he noticed was limonene, a citrus smelling agent frequently used in scented candles, plug-ins, air fresheners and cleaning products. Though limonene is Generally Recognized As Safe (GRAS) by the U.S. Food and Drug Administration (FDA), researchers discovered that once it's sprayed into the air, it may react with other naturally-occurring gases to create something much more sinister. Upon analyzing its reactivity, Lewis found that when limonene interacts with the ozone, it forms the human carcinogen formaldehyde. For "every two molecules of limonene," one molecule of formaldehyde can be produced, scientists said. Despite its toxicity, industrial uses for formaldehyde stretch far and wide including "pressed-wood products, such as particleboard, plywood, and fiberboard; glues and adhesives; permanent-press fabrics; paper product coatings; and certain insulation materials," according to the National Cancer Institute. It's also used in fungicides, disinfectants and as a preservative for embalming dead bodies. Short-term exposure to formaldehyde may result in itchy, watery eyes, and burning sensations in the mouth, throat and nose. It can also irritate the lungs, causing coughing and wheezing. Long-term exposure to formaldehyde is quite a different story however, as it is has been linked to cancer. A study conducted in 1980 observed that the chemical caused nasal cancer in rats. Seven years later, the U.S. Environmental Protection Agency (EPA) labeled it a "probable human carcinogen under conditions of unusually high or prolonged exposure." The chemical has also been linked to other cancers. Studies performed by the National Cancer Institute suggest that professionals (such as anatomists and embalmers), routinely exposed to formaldehyde, may have an increased risk for developing leukemia and brain cancer. "An NCI case-control study among funeral industry workers that characterized exposure to formaldehyde also found an association between increasing formaldehyde exposure and mortality from myeloid leukemia." If you're anything like me, you may love candles so much you'd rather breathe in chemicals than give them up. But don't worry, because you don't have to do either. The first step is to stop buying synthetically-scented candles and start searching for beeswax candles instead. Soy candles are becoming increasingly popular, but many of them still contain synthetic fragrances and dyes, releasing toxins into the air when burned. And because 90+ percent of soy is genetically-engineered, you're supporting Monsanto by purchasing them. Beeswax candles (scented with essential oils) however, are much more environmentally friendly, and may even help combat allergies, asthma and hay fever when burned, through the release of negative ions. You can learn more about them here, and can purchase them here. Filling your home with plants also helps reduce toxins in the air, including formaldehyde. English Ivy, geraniums, lavender and many ferns work best for absorbing this chemical.